Looking for a file sharing software? 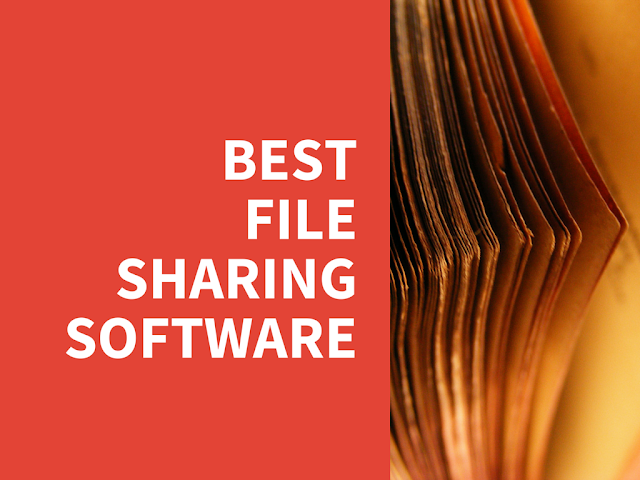 We have a list of best web based file sharing tools for web masters. With the increase in the use of applications over the internet, a system to conveniently manage the data is inevitable. As a solution, web based file managers can be used to manage the files and folders with ease through a web browser such as Internet Explorer, Firefox, Chrome, Safari etc. File sharing is essential for schools, universities and businesses. Established businesses can afford to host commercial file server, however others may prefer to stay with Free or open source file browser options. File sharing on web can also be a useful tool for managing personal media such as images, videos and music. There are many cloud based options available however they are only Free for limited use, when your data size increases you will require monthly subscription based plans to store more data. Most people prefer to create their own file server backed by a large hard drive at home and share files between multiple devices. HTTP Commander is a web based file sharing software for Microsoft servers (developed using ASP.NET). This ASP.NET file manager supports both kind of user authentication - Forms and Windows (used for Active Director users). HTTP Commander has great UI for desktop PCs and mobile devices. It includes main file operations like copy, move, create, delete, multiple upload and download, ZIP archiving and many other features. It supports to share local server folders and allows to move files to clouds like DropBox, OneDrive, Box.NET. HTTP Commander is a leader in Microsoft server based options since few ASP.NET file explorer software available on web. This ASP.NET file browser is well suited for windows based system and is really easy to install. If you are really looking for a ASP.NET file manager, we would recommend this option. Key features: Integration with cloud storages, online documents and images edit services. Mobile interface. WebDav support. Windows authentication. 50+ languages support. Integration with MS Office, Open Office and Office web apps. AjaXplorer has a quick accessibility like a website. This file sharing software is supported by all major web browsers. AjaXplorer can easily adapt to small screen devices. iOS application enables a comfortable usage experience on iPhone and iPad (Android coming). A Web server with PHP 5.1 or later is sufficient to run AjaXplorer. AjaXplorer is one of the best file sharing software available for free. It may not have features like premium softwares, however it does have best offering among the free and open source file sharing software. Key Feature: Preview and playing of multimedia files directly online is possible. Direct streaming of video formats from the file server is possible. Online documents and images can be edited online when linked with external web services such as Zoho, pixlr. Key Features: It has a search engine, text editor with syntax highlighting capability, tagging, MP3 playback and video playback with multi – lingual plugins. PAFM can enable a complete user control on the files. The source code editing can be done with CodePress. Code Press is an editor with as-you-type syntax highlighting. Key Features: as-you-type syntax highlighting. The internet and Intranet file sharing and managing can be realized with QuiXplorer. It is also a multi-user file manager. Apart from the usual functionalities, the multiuser mode requires user authentication, administration control over users and individual settings for each user. Key feature: Multi-user mode with individual settings for each user. Key feature: BytesFall Explorer has an interface similar to windows explorer, furthermore it has various functions through external projects. WebFile Explorer is a Free ASP.NET file explorer built with a friendly user interface and online administration with user permission and quota limits. Server configuration knowledge is not required to manage users/permissions. The standard browser can be turned into a "Windows XP Explorer" like file manager when documents have to be shared among a number of people. Remote file storage or hosting services can also be realized. In order for the File browser to run properly , the system must be running Microsoft Windows NT, 2000, 2003, 2008 or XP Professional/Server. Its obvious that this ASP.NET file browser will require ASP.NET (Active Server Pages) and web server support of IIS. Key Feature: A built-in Photo Viewer, A built-in WYSIWYG editor for HTML documents. Sends files as e-mail attachments. You can also control each user level read, write and admin access. This is probably one of the best options available for managing your home files over multiple devices. 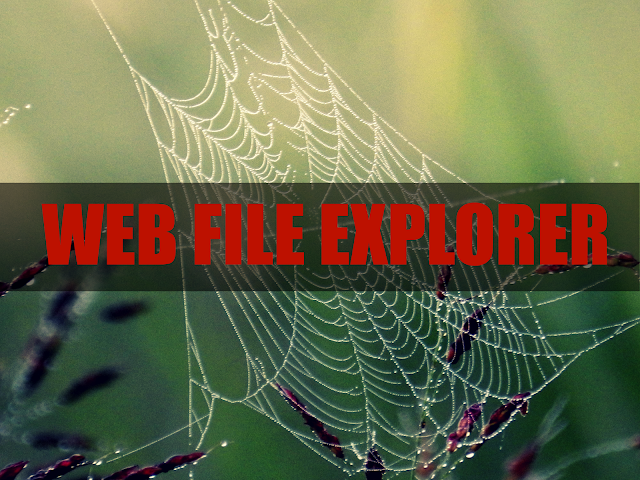 Although there are other web based file explorer applications, the above listed are the best, easy to use as well as reliable. What is the software you are using for file sharing? great post. thanks for help. Just had a quick look at this. It looks cool! I am using extplorer but it is not so reliable. Can you suggest me a better solution? You may be interested in file sharing/document management solution HTTP Commander. for remote users (educatonal organisations and other.) It is alternative to FTP, WebDav, Sharepoint, Cloud storages etc. I just love this post....Great open source explorers i used phpXplorer in future for my website. I also use other and recommend to my friends so they can also get deep knowledge about them and their uses. Anyway i appreciate your valuable search!! Just reading this, i see you have missed https://owndrive.com which i've switched to from Dropbox. It's got absolutely everything i need, also with ability access Google Drive, Dropbox, FTP etc. eXtplorer is broken; you can't edit files with it, because it gives a JSON error, and when you try and view files, it downloads them instead. You can check out ShareByLink.com also. It's open source, I'm a programmer on the project. Lets you right click to share any file. Works either alone or with your own PHP backend. Try WebFileSys. It is fast and feature-rich. A standard Java web application.